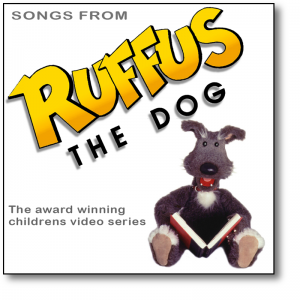 All of the Songs From Ruffus The Dog are available online. You can listen to them all for free. 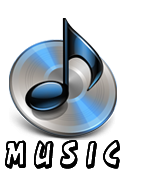 Some tracks can also be downloaded for free. Other tracks can be purchased for almost free – a ridiculously low price – or you can save money by buying the entire album for download, which comes with some nifty extras just because we like you so much. We’ve set a very low price for this music but it’s really pay-what-you-can – so, if you’re feeling generous, you can easily pay more to show how much you like our work and help us to keep making more of it for you. Visit our store and have a listen to Songs From Ruffus The Dog! Just like everything else on this web site, all of the music from Ruffus The Dog is being released under a Creative Commons License which means you are free to copy, re-mix and share these songs. 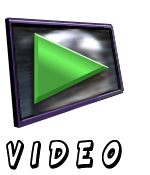 You can listen to them on any device you want, mash ’em up as much as you want and give away as many copies as you want. The only thing you can’t do is sell them for money or shiny beads and stuff – that’s what we do. 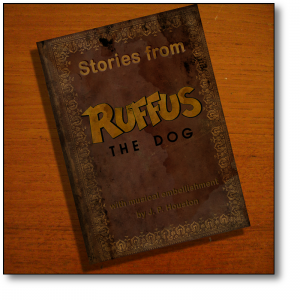 In a little while (when we finish recording them) we’ll also have audio books available of all the Ruffus The Dog storybooks. Ruffus himself will narrate the tales and be joined by the other characters to help tell these classic fairy tales for kids of all ages. Just like the music it will be free to listen to online, foolishly cheap to buy individual stories and wonderfully inexpensive to purchase the entire album (along with nifty extras) for download. We hope to have these done soon for you – and we hope you enjoy them. 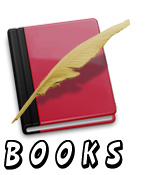 And – just like the songs – these stories will be released under a Creative Commons License allowing you to copy, share and re-mix as much as you want. It’s good to share!